Robert Lloyd - a Sir Gar Blog of random news . . . and some Clecs! Robert Lloyd - a Sir Gar Blog . . . and some Clecs! Random thoughts, news and views from Carmarthenshire and the rest of Wales! 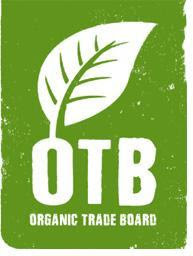 The new 'Why I Love Organic' campaign (see earlier posts) will feature a number of Welsh firms. One of them will be the Nant Gwyn Faen Organic Farm, specialists in local and organic food in Llandysul. Nant Gwyn Faen, certified by the Soil Association, is run in accordance with organic standards. A spokesman said :"We keep poultry and pigs. Welsh black cattle, and sheep graze our pastures during the summer. As well as running our bed and breakfast, an organic farm shop, and making bespoke furniture, we also grow our own vegetables. The National Botanic Garden of Wales is holding a Woodcraft Festival (Jan 22-23) and it will showcase some of the stars of the craft in action – all under cover in the Great Glasshouse and all FREE of charge. One of Britain’s leading woodturners – Simon Hope – will be demonstrating his own range of tools; Chris Pouncy, of Robert Sorby Tools, Sheffield, will hold woodturning demonstrations; there will be displays by the Carmarthenshire, Pembrokeshire and Glamorgan woodturning clubs; and a demonstration by the South Wales Stickmakers’ Guild. Also on the bill are a clock maker, Lovespoon carver willow weaving, woodland craftspeople and hurdle makers. Paul Roberts, of Isca Timber, will give a talk on working with wood and Les Bryan, Picus Crafts, will give a display of turned chairs. Also putting on an exhibition are staff for the Garden’s library who will be showing – for the first time – some of its new collection of wood samples from around the world. One of them will be the Calon Wen organic fresh food company in Lampeter. Calon Wen is a Co-op owned by over 20 farming families from across Wales. Our children and families drink our milk everyday and the rest is bottled or churned giving you a taste of the simple life. Many dairy farmers want to sell their own milk to local people through their own company. Well that’s what Calon Wen is all about. • Calon Wen was will soon be celebrating its 10th year and is a Co-op owned by over 20 farming families from across Wales. The aim is to secure a long term market for organic milk from Wales by supporting organic processing needs in Wales. There has been huge interest from private owners seeking to take over an Ammanford £1 million municipal golf course to secure its long-term future. Carmarthenshire Council wants to lease out Parc Garnant - built on reclaimed land from a former open cast coal site - which will make a loss of around £150,000 this year. It has invited tenders as part of a review of its leisure services which has attracted widespread interest. Garnant councillor Kevin Madge said the executive board wanted to ensure it remained open to the public and did not become exclusively a private members club. The 18-hole course and clubhouse was developed as part of the restoration of the 120-acre site after opencast mining ceased in 1992. It was named best new course of the year in 2004 by the Golf Union of Wales. It has a membership but is also open to the public on a pay-per-play basis with green fees from £10 a round. Residents in Carmarthenshire have recycled 143 Christmas trees. A Christmas Tree Amnesty was held the council on Saturday with collection points set up in Llandeilo, Llandovery, Pencader, Llanybydder, Tumble and Kidwelly. Householders were able to take along their real trees to be recycled after the festive season. The trees were then taken to the In-Vessel Composting Unit at Nantycaws to be turned into compost/soil conditioner. The aim of the amnesty was to raise awareness of waste and reduce fly-tipping, assist residents with the disposal of their Christmas trees and make sure as many as possible are recycled. Executive board member for the environment Councillor Philip Hughes said: “Despite the cold weather there was a good turnout of residents. Christmas tree recycling is an eco-friendly, convenient way of getting rid of your real Christmas tree and doing your bit for the environment. Planning permission has been granted for a new parking facility in Burry Port – to help travellers switch between trains, buses, cars, motorcycles and bicycles. Carmarthenshire County Council planning committee approved a scheme by the local authority for a multi modal parking facility on land to the south of Sea View Terrace, Burry Port. It will create a new purpose-built site with designated areas to help travellers switch between different forms of transport. The proposed scheme will provide 84 car parking spaces (including nine disability spaces), four motorcycle spaces, and 15 cycle spaces. There will be cycle lockers/shelters. An officers’ report said: “At the present time, although Burry Port has bus stops, a railway station and some car parking areas, they are at different locations within the town. Dog owner fined for foul play! A dog owner has been fined £75 for foul play on a rugby field in Hendy. The council’s environmental enforcement officers issued the fixed penalty notice to the man in Hendy Park for failing to clean up after his pet. Failure to pay could lead to prosecution in the magistrates court and a maximum fine of £1,000. Executive board member for the environment Councillor Philip Hughes said: “Dog mess left anywhere is a serious health risk and these fields are used to play rugby on. There have been instances where people have become extremely ill after falling into dog mess, in extreme cases it can even lead to blindness. Carmarthenshire County Council is working hard to tackle the problem of dog fouling and enforcement officers regularly carry out patrols across the county. Planning permission has been granted for a new main entrance to make Amman Valley Leisure Centre more accessible for disabled people. Carmarthenshire County Council’s planning committee approved a scheme by the local authority to build a single storey extension to create a new entrance which complies with the Disability Discrimination Act. The new entrance at the leisure centre off Margaret Street, Ammanford, will include a lobby area, steps up to a raised level and a platform lift. Housing can be built opposite Cwmifor Village Hall provided that community benefits are provided. Carmarthenshire County Council’s planning committee yesterday granted outline planning permission for residential development and a community car park on land in Cwmifor, Llandeilo. Outline permission was originally approved in 2007 and a Section 106 Agreement on community benefits was drafted but not signed. The applicant has now asked to amend it to stagger community benefit payments because of the slowdown in the housing market. An officers’ report to this week’s meeting said: “The authority accepts the principle of staggering payments whilst the site is developed as this would allow the applicant to generate the sufficient cash flow required to progress the site through to its completion. Aberystwyth University is the first in Wales to join UKPASS, the online application service for prospective postgraduate students. UKPASS was established in 2007 and is run by UCAS, the undergraduate applications service. It enables prospective postgraduate students anywhere in the world to search online for courses and to apply to study at British universities. Dr Hywel Davies, Director of Recruitment and Admissions at Aberystwyth University has welcomed the development; “As well as facilitating the system for finding suitable courses and applying for them, the service is free and very flexible. “It is a rolling service, which allows for several start dates throughout the year, and is done wholly online, which reduces paper costs and avoids delay in submitting applications. Furthermore, applications can be submitted in English or Welsh – the only provider to offer this essential feature." The leading lights in the UK bakery and confectionery industry are visiting Llanelli next week (January 18 and 19) in honour of one of our oldest businesses. Jenkins the Bakers, a third generation family business based in Llanelli, has the honour of hosting a meeting of the British Confectioners’ Association. 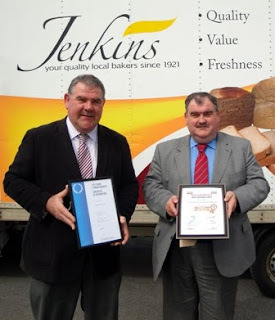 The honour comes as the Jenkins Bakery begins to celebrate its 90th anniversary. “This year is a very special one for all of us here at Jenkins,” said Commercial Director and Company Secretary David Jenkins. Operations Director Russell Jenkins said the two-day visit by the BCA would include business workshops, tours of the Jenkins Bakery main HQ in Trostre and visits to many Jenkins shops in the area. Llanelli Rotary Club has announced the date of this year's Rotary Ball - always one of the top social nights of the year in Llanelli. Llanelli's opening the gateway to Eastern promise that will completely rejuvenate its town centre shopping and leisure experience. Henry Davidson Developments Ltd could make a start before the end of March on the £15 million East Gate Development. In two years, the development will blend into the town centre a six-screen multiplex Reel cinema, 53-bedroom Travel Lodge Hotel, a range of pubs and restaurants, nearly 2,000sq metres of new office space, a convenience store and other retail outlets, a ShopMobility facility, increased parking for 239 vehicles, an improved and enhanced bus station and a new town square and other public realm enhancements. The county’s executive board on Monday (January 18) are to recommend a start on the scheme that could be endorsed by full council on February 7 leading to a swift March start on works which could be completed in 2012. To go to New York on business at the end of 2010 (and to make the mistake of bragging how cheap the flights were) was asking for financial ruin and for what was planned as a boys’ outing to turn into a family shopping expedition. Plainly, I was not aware that the purpose of the trip was to help ailing US exports! I have just returned from a trip to the Big Apple to sell Welsh Beer to the Americans. 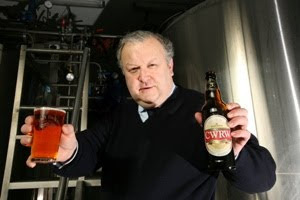 Our new agent based in New York has lined up a series of exciting opportunities for us to be able to export bottle beers to 39 states of the Union, and in the longer term to establish a joint brewing opportunity to brew our award-winning Cwrw brand over there. The Americans invented small scale brewing, and much that passes for ale in the States is in fact based on European lagers, that have antiseptic tonsil cleansing bitterness – a brewing affliction called TCB. It’s always good to hear about ‘old boys’ of Carmarthen Town AFC who continue to do well in their footballing careers. Delaney junior established himself as a fan favourite at Town in the 1990s, becoming club captain at just 20 years of age. He later moved to Cardiff City and then to Aston Villa in 1999 for £250,000. He made 193 first appearances for Aston Villa in all competitions. He gained 36 international caps with the Wales team. Delaney's Aston Villa career was tempered with knee injuries, forcing him to retire from playing in 2007. Dad Mike was a very interested spectator at the recent Haverfordwest v Carmarthen game and again at Friday night’s Town v Neath match at Richmond Park. In the news today . . .
Nice pic of the Richmond Park, Carmarthen, mini-football match (Peniel v Model schools) in the Carmarthen Journal newspaper today. Brewer Simon Buckley's latest 'Iechyd Da' beer column is in the Carmarthen Journal newspaper today. 'View from Richmond Park' Carmarthen AFC column in the Carmarthen Journal today. Nice story about Llanelli Rotary Club's start to the New Year in the Llanelli Star today. First speaker of year at Rotary meet tonight. One of them will be the Rhug Farm Estate in Corwen, Denbighsbire. Rhug farm started its organic conversion in 1998 and is now fully certified by the Soil Association. Rhug has its own nationally award winning flock of 4000 ewes and 500 head of cattle including the special herd of Aberdeen Angus. Rhug is one of the largest organic farms in Wales, covering 1050 hectares (approx. 2500 acres) including 90 hectares of broadleaved woodland plus 551 hectares of mountain land. All of the land is managed to stringent environmental management principles. The mountain is a Site of Special Scientific Interest (SSSI) and subject to a five-year environmental management plan with the Countryside Council for Wales (CCW). The lowland is managed under the Tir Gofal (Care of the land) scheme on a ten-year management agreement. An interactive green technology trail featuring a range of micro-scale renewable energy demonstrators – from a mini wind turbine to pedal powered machines – is to be created at the National Botanic Garden of Wales. The news was announced today by Lesley Griffiths, Deputy Minister for Science, Innovation and Skills, during a visit to the Garden with Professor John Harries, Chief Scientific Adviser for Wales. It is seen as a significant boost to extend and develop the Garden’s educational work linked to biodiversity, energy and the environment. Funding of £28,500 from the Welsh Assembly Government, through the National Science Academy, will support the STEM ( Science, Technology, Engineering and Mathematics) Sustainable Futures technology trail, with an additional £42,000 to host an internationally acclaimed exhibition at the Garden illustrating the vital role that fungi play in the health of people and the planet. 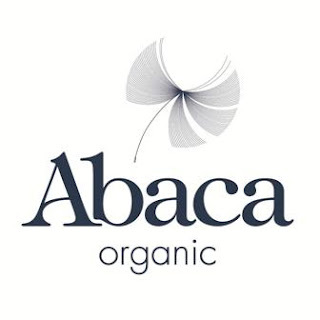 One of them will Abaca Ltd of Tycroes Business Park, Ammanford. The firm's managing director is Mrs Rhiannon Rowley. After 15 years of working in the mattress industry, Rhiannon's concern about the chemicals in the fabrics and materials used to create mattresses, led to the development of Abaca Organic. There was already a clear need for natural bedding for people with a range of conditions including various allergies and ME. More than just a natural alternative, Rhiannon wanted to create a truly luxurious organic bedding range. The company produces organic mattresses using the purest organic Welsh wool and organic fabrics. Unlike other mattresses which use synthetic fabrics, Abaca mattresses are made of natural materials without the need for chemicals. No pesticides are used in the production of the cotton materials used. Work is underway to revamp Carmarthen Library in the lead up to the building’s 250th anniversary. Renovation work is being undertaken as a joint project between Carmarthenshire County Council and CyMAL, and is part of an overall investment in the county’s three main libraries. A host of improvements are being made – including a makeover of the Children's Library to reflect the changing needs of younger visitors. New computers have already been installed in both the IT Suite and the children's section. The hall and exhibition area is also being revamped to cater for the demand for larger meetings. Extra meeting spaces and a more user-friendly exhibition space are part of the overall scheme. Externally, the library will get a fresh lick of paint, access will be improved and external lighting around the building is being upgraded. Work has also begun to improve the energy efficiency of the building. The latest issue of Carmarthenshire County Council’s popular “Directory of Local Bus Services and Travel Guide” is now available. Issue 12 of the Guide contains all the usual features which make planning public transport journeys so much easier. It includes a colour route map, an index to places served by local bus and rail routes, contact addresses and numbers, information on Travel Passes and Rover Tickets, and full timetables for each bus route operating in and around Carmarthenshire. County executive board member for transport services Cllr Philip Hughes said: “Every county householder would benefit at some time from the information contained in this useful guide. Scarlets face biggest game in "three years"
The Llanelli Scarlets face “the biggest game in the last three years” when they clash with Leicester Tigers at Parc y Scarlets in a crucial Heineken Cup Pool 5 showdown this Saturday kick off 5.45pm. Sales were past the 9,000 mark after the weekend with a five-figure crowd expected on Saturday. The West stand is now open for sales call the ticket office on 0871 871 8088 or book online at www.scarlets.co.uk. Savings off match day prices can be made if you book before 5pm this Friday. Tickets are priced from just £10, under 8’s go free and junior tickets (ages 8-18) are priced from £5. The National Botanic Garden of Wales in Llanarthne, near Carmarthen, is hosting a Stargazing Live event on Wednesday, January 12. Join Dr Angharad Thomas and a host of other enthusiasts and discover the sky at night. There’s no charge for the event – though pre-booking is required – and no equipment is required. The evening is suitable for ages 5-95. Wrap up warm. The event runs from 5.30pm-7pm and is part of BBC 2’s Stargazing Live event. The National Botanic Garden of Wales has earned another top accolade from a leading garden expert. Tony Russell, writing in Saturday’s Daily Telegraph, has ranked the Carmarthenshire attraction among his top “five best winter gardens in the UK”. Tony goes on to sing the praises of the Tropical House “bursting at the seams with palms, pineapples, coconuts and orchids” and also gives an honourable mention to the lakes, streams and walks “through the magnificent Regency water park”. Former Scarlets and Wales rugby star Dafydd Jones will reveal the heart-breaking decision to retire early from the sport in an extensive televised interview on S4C’s live magazine programme, Wedi 7. Jones, who won 42 caps for Wales, had been forced to retire earlier this week after a serious shoulder injury kept him out of the game for fourteen months. On the Monday, 10 January edition of Wedi 7 (7pm, English subtitles available), Dafydd joins presenter John Hardy in the Llanelli-based studio to discuss his career highs and lows and his new role coaching the Scarlets’ Academy squad. Llanelli Rotary members held their first meeting of the New Year at the Stradey Park Hotel, Llanelli, on Friday. President Melanie Carroll-Cliffe was in the chair and the meeting heard that New Year greetings had been received from retired member Dr Cledwyn Thomas, who now lives in Cardiff. The next meeting of Llanelli Rotary Club will be held on Wednesday, January 12 at the Stradey Park Hotel. The speaker for the evening is Robert Quinn of the Carmarthenshire Command of the Mid and West Wales Fire and Rescue Service. On Friday, January 21, there will be a Club Fellowship meeting at 1pm at the Stradey Park Hotel. The following Wednesday, January 26, will be a Club Committees meeting, starting at 7.30pm. The popular Youth Speaks junior public speaking competition is due to take place on January 17 at Llanelli Town Hall. The Young Musician competition is scheduled for February 10. Carmarthen Town AFC are delighted to be able to offer club supporters the opportunity to purchase tickets for the forthcoming Wales versus England Euro 2012 qualifying match which will be played in the Millennium Stadium in Cardiff on Saturday 26th March. We have been advised by the FAW that while tickets have been made available to members of the Wales Supporters Club there are NO tickets on sale to the general public. As such if you are not members of the Supporters Club this is an excellent way to obtaining tickets for what will be undoubtedly a full house. She had a 9-2 winner at Fontwell on Friday with Can't Remember. Tonight sees the launch of the referendum Yes for Wales campaign in Llanelli. The Archbishop of Wales, the Most Reverend Dr Barry Morgan, will speak at 7pm at the Selwyn Samuel Centre, Llanelli. One of them will be Farmhouse Freedom Eggs of Great House, Gwehelog, Usk, Monmouthshire. The business was founded by Gerry and Linda Tuffs who started free-range egg production at Great House Farm in 1985. In fact, they were the first sub-contract producers for Daylay Eggs which was subsequently bought by Deans Farms. In 1999, they acquired the Martin Pitt free-range egg business based in Marlborough, Wiltshire and expanded the sales of eggs throughout London and the M4 corridor. Farmhouse Freedom Eggs is still based at Great House Farm and boasts a modern packing station with state of the art grading and packing machines. The mayonnaise production has increased in volume and the business has added a new modern production facility to handle this growth.  Organic products are available from all major supermarkets, farm shops and farmers markets, vegetable box schemes, specialist independent stores, direct from producers and online. This Top 10 list has been produced as part of the launch of a high profile three-year campaign that is set to deliver sales growth by increasing consumer demand for organic food in the UK. Match funded by the EU, the aim of the £2m ‘Why I Love Organic’ campaign is to invite consumers to discover what organic means, by challenging their perceptions and discovering their own reason for loving it. Good Food Readers’ Restaurant of the Year awards. Horton and Port Eynon Lifeboat Station.